The third song, titled 'Aala Re Aala', from 'Simmba' featuring Ranveer Singh is finally out and the actor's killer moves will surely make you want to dance! New Delhi: The third song, titled 'Aala Re Aala', from 'Simmba' featuring Ranveer Singh is finally out and the actor's killer moves will surely make you want to dance! Ranveer took to his Twitter handle to share the video of the foot-tapping number and captioned it as, "AALA RE AALA!!! SIMMBA AALA!!!" Also Read: 'Aankh Marey' from 'Simmba' is the ultimate party anthem! 'Aala Re Aala' has been sung by Dev Negi and Goldi while Tanishq Bagchi has composed the peppy track. The 'Padmaavat' actor dances his heart out in the song and like always Rohit Shetty has taken the song to another level, with a lavish set boasting of swanky cars and bikes. 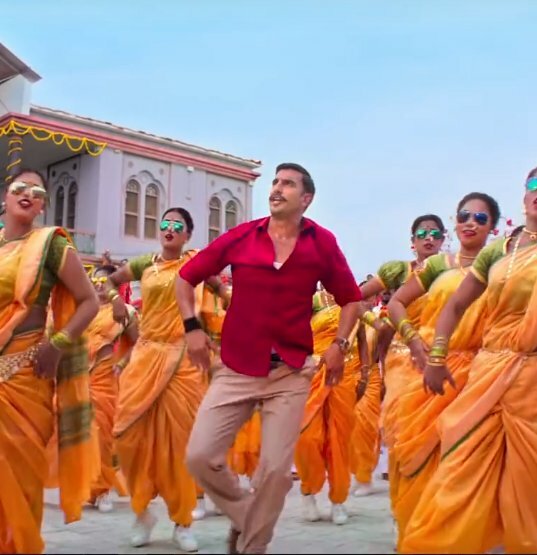 The song introduces Ranveer's character who looks his stylish best sporting a red shirt with beige pants and makes a grand entry, surrounded by women on bikes wearing Maharashtrian style sarees, turbans, shades and sports shoes as they wave saffron flags. Ranveer adds the right amount of fun and energy to the song with his entertaining dance moves. The 33-year-old star has given the audience many energy-packed songs before including 'Tattad Tattad' from 'Goliyon Ki Rasleela Ram-Leela' and 'Malhari' from 'Bajirao Mastani'. The makers of 'Simmba' treated their fans with two songs earlier-'Aankh Marey' which featured Ranveer and Sara Ali Khan grooving to the number along with Golmaal stars Arshad Warsi, Shreyas Talpade, Tusshar Kapoor and Kunal Kemmu and a romantic song titled 'Tere Bin'. 'Simmba' is Sara Ali Khan's second Bollywood movie after she made her debut with Abhishek Kapoor's 'Kedarnath' earlier this month.